Your best overall strategy should be to create great content that others will want to link to and then sprinkle that content with keywords that people are likely to type into search engines. The more frequently your content is updated the better, which is why it’s great to have a blog on your website. When a search engine’s “bots,” “spiders,” or “web crawlers” go trolling around the Internet, they search the content of your website and take special notice of keywords that are repeated or emphasized using bold face type, headlines, or hyperlinks. Remember that when writing the titles and content of your blog posts. Install Google Analytics on your blog and/or website if you haven’t already. Even if you use another metric like SiteMeter, StatCounter, or WordPress’s built-in stats, nothing compares to Google Analytics in its comprehensiveness. Once it’s installed, you can track which of your posts are the most popular and write more posts like those. You can also see which keywords people are entering into search engines to find your site and drop some of those into future posts. For example, two of the most popular posts on the first blog I started were “Mila Jovovich” and “wrist surgery.” If I were still posting to that blog, it would make sense for me to write a follow-up post about my wrist surgery and to mention Mila Jovovich (and other celebrities) now and then. Write a list of keywords for which you want your book (or other product or service) to show up in web searches. For example, I may use “memoir,” “fashion,” “modeling,” “fashion model,” “French memoir,” “Paris memoir,” “modeling memoir,” “fashion memoir,” “Linda Evangelista,” “Christy Turlington,” and “Naomi Campbell.” Then I would insert those keywords into the tags, titles, and content of my site. If you’re serious about improving the SEO of our website, you may want to subscribe to a keyword research service (they’re not cheap) that will tell you which keywords will bring the most traffic to your site. Page titles are the words displayed in a reader’s browser or browser tab (depending on settings) when she visits your website. 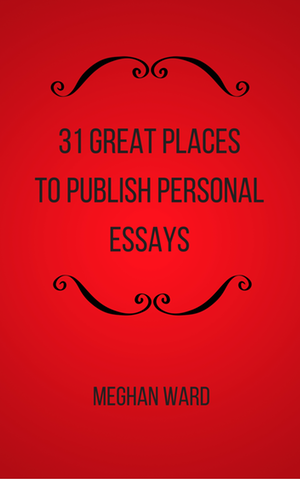 For example, if you visit my website, you’ll see “Meghan Ward: Author” on your browser tab. My blog shows up as “Writerland,” and a specific post within my blog will show up as the title of that post (“Constance Hale Has a Crush on Verbs,” for example). Page titles are built into the HTML code of your site, so you may need a web designer to help you optimize them. Check out this post to learn more about Google & SEO-friendly page titles. Incoming links are golden. You want your targeted keywords (see 3 & 4) to be hyperlinked from other sites (the more popular the site the better) TO yours. For example, you can to read an excerpt from my modeling memoir or check out my freelance editing services by clicking on the hyperlinks in this sentence. The more different sites that point to yours, the better. But how do you get OTHER sites to point to yours? For starters, you can link to your site from your She Writes profile, your Twitter profile, your Facebook page, your Linked In page, and your Goodreads page. You can write great content so other bloggers are more likely to link to you, you can write guest posts for other sites that point back to your site, you can invite other bloggers to guest post for you (They will most likely link to the post from their own blog, Facebook page, or Twitter account), and you can comment on other blogs, which leaves a link back to your own blog. Using your keywords in the text of your post (contextual text) without hyperlinks will also improve your SEO. For example, many authors post at the bottom of every blog post a little blurb that goes something like this: My memoir, Paris On Less Than $10,000 a Day, is a coming-of-age story about a young fashion model trying to make it in the cutthroat modeling world in Paris, France at a time when supermodels Linda Evangelista and Christy Turlington refused to get out of bed for less than $10,000 a day. To learn more about my book and my freelance editing services, visit my website, Meghan Ward (dot) com. See how many of my keywords I managed to get in? Some will be hyperlinked, but many will remain contextual text. And the best part about pasting all that at the bottom of every post is that now I’m free to write about butternut squash and Hula-Hoops without worrying about how I’ll squeeze in a mention of fashion models and France. Meta tags are words or phrases that are built into the HTML code of your site that are not visible to readers. You’ll most likely need a techy person or web designer to help you insert them into your site. Just remember that Google does not use the keywords meta tag, but it does use the description meta tag and a few others. Social media is, above all, social. Your best SEO will result from the love you get from other bloggers who link to you, ask you to guest post, and guest post on your blog. So once you get Google Analytics running, update your titles and metatags, and write a few posts about wrist surgery, get out there and make some friends! What about you? Do you have any SEO tips? I have to point out that you need to begin from a place of understanding of who your website audience is. Using your point about the wrist surgery and Milla Jovovich posts, if those are the most popular posts, it might be because those topics are heavily Googled–but NOT by potential book readers. So make sure you are using the right SEO words for your actual audience. Sure, you might want to get more hits from random people using the theory that scattered seeds on the wind will plant more flowers, but if those flowers don't result in retained viewers (and ultimately book sales), then you need to carefully consider your audience first. I've not paid much attention to keywords, at my own peril. It is an area I need to improve upon. I like the part about putting a bio at the end of the post, that is a good idea. Oh, I wish my memoir were out! It's on submission to publishers right now. Just waiting for news. Keywords (tags) are so easy to use. Use them! Six months ago I couldn't even say search engine optimization (I still have trouble typing it). These are great tips, Meghan. I am sharing to my Fan Page! Very useful info for the cybermoron like me. Some things I've done right instinctively, but others I can improve. Glad to know I don't have to worry about metatags. I have to say, if I could lure teens and women interested in fashion to my blog, that would be a wonderful thing, because they're my audience. I need to work on that! This is wonderful information. Thanks so much for posting it. I see at least three areas where I need to improve my website. I have been struggling to deal with SEO and optimisation but your simple explanation has enlightened me a lot. You're welcome, Steve! I'm glad the post was helpful. Great article Megan.This tips would be really handy for the newbies and beginners who want to learn SEO. I know I'm 48 weeks late in replying to your comment, but I recently took a series of SEO webinars with Jason McDonald and they were fantastic. I highly recommend him. There’s a lot of sites out there offering to sell you backlinks to boost your site’s SEO, but all of them seem to have complaints attached to them. Can anyone recommend a service that works and doesn’t rip you off? That's really a great article indeed that I liked a lot. I liked how neatly you described how tags and categories are supposed to be used by SEO experts. These tips are really what authors need to know. Indeed, content is the king. Google loves fresh, new, interesting, and unique content. And if you don't have this, then you have to rethink of your SEO strategies. I leave a response each time I like a article on a blog or I have something to valuable to contribute to the conversation. Search engine optimization is the art of increasing the ranking or a website, or individual pages on a website, on Google and other search engines. For many businesses, being number one in the listings for their market can mean the difference between success and failure. Handy checklist. Cheers intended for expressing this kind of. We're really centered on content material with regard to SEARCH ENGINE MARKETING. Great information about contextual text. Instead of including a blurb at the end with keywords like your example, I think a lot of people awkwardly try to fit them in within the article text and the article just doesn't flow how it should. Thanks for taking the era to allusion that I recognize your input perhaps I can yield the resemble quantity rhythm. These locales are quite mild furthermore cheap to rigid up further might be acting mostly as placeholders. Cheers pertaining to good article with this weblog! incredibly educational and also beneficial. Good submit. Appreciate it pertaining to good write-up in this weblog! extremely beneficial along with beneficial. Fantastic submit. If you write about a popular topic, there may be hundreds of other blogs competing directly with yours for attention on search engine results pages. To give your blog the best possible chance of being noticed, use search engine Optimization to make your blog's most important keyword phrases stand out to search engines. Thanks. You might have a number of precious guidelines with this putting up. Fascinating you just read, cheers regarding expressing around! Those are great tips for Authors to write great content according seo rules. seo seo and Content is King. nice tips thanks for sharing. Hey thanks for this… We are trying to do something simillar back at http://www.mediabucket.com.ar... is it doable? These guidelines are really what writers need to know. Indeed, material is the master. Search engines love clean, new, exciting, and original material. And if you don't have this, then you have to reconsider of your SEO techniques. At this time there several breathtaking factors inside your weblog. I've got to get pleasure from the exceptional operate. When i obtain the writing extremely exciting as well as additionally extremely helpful. My business is imagining to write down an item with similar theme. Blogging isn’t just about writing! SEO is part art, part science. These days, freelance writers and bloggers can take their pick of books, conferences and online classes to learn all about it. Your points greatly help the authors for better understanding in a simple way! Thanks for sharing! I am happy with your work. Thanks a lot for the tips http://online-essay-writer.org/ Its are very useful. to to thank you for this wonderful read!! I have been reading your posts regularly. I need to say that you are doing a fantastic job. Please keep up the great work……. There are some fantastic tips on how to get your content out there and linked to, one of the things you have mentioned is being a guest writer and I was wondering how you got into that? Is it possible to send articles or blogs as examples to certain sites or can you just contact sites and ask whether you could write a post for them? I am always treated as a reponsible adult, the doctor will listen to my concerns over treatments etc, it goes without saying the staff are courteous and efficient. Great! Very inspiring, perfect for helping many people improve in their online marketing and blogging endeavors. PageTraffic-India's most awarded SEO Company since 2002, offering search .SEO Company in Chicago .. SEO Company located in New Delhi, India with its sales office in Chicago, Illinois. It is one of the best alternatives for all businesses who wish to create competition in the market. More than a billion searches are conducted on a Chicago SEO Agency search engines every day around the world. Most of the time user doesn’t go for results which are beyond the first page. Usage of the combination of channels: a reputable and affordable Website positioning firm would use several channels to be certain that your web page is optimized effectively. It is more inexpensive to make use of set of channels than simply a person, as you mustn’t waste your electricity and time just on 1 channel-if you discover that it’s not yielding successful output. Real looking estimation- a well-established Web optimization Organization can provide you an actual estimation with the spending plan you could possibly assume to place aside for world wide web marketing marketing campaign. In the event you imagine that quantity is reduced, make certain before you indication an agreement with them. Complete sum of your time, the funds balloons as this Search engine optimization marketing campaign goes together; you do not make planning upfront. Devote some time to analysis very well for affordable Web optimization products and services; it is best to sure the Search engine marketing Business you select is among the most trusted, quality orientated and inexpensive solutions service provider. For a small business it is important to have an apt presence in all possible digital mediums which include search engines, social media and mobile for utmost reach to targeted audience. Bloggers can get the best from producing quality content and sharing it socially. Thanks a lot for sharing this, Meghan. One problem though, I don't think Keywords Selection is as important anymore when Google Hummingbird came. You see, with Hummingbird, the results are no longer directly coupled to individual keywords, but rather to the sequence of the queries. The linking of a sequence of queries is what makes it possible to determine the intent of a search query without the need for ‘caveman’ terms. Thanks for the information. Everything is well described. Using keywords in blog titles and throughout the post is essential but as you use keywords, make sure you are using them in the best logical way possible. Stuffing or over-using keywords without any need would increase the chances of irritating your visitors. I think it's the best piece I have read, I wish I could find more such good articles online. Fantastic website. Fat removal price UK.Fat removal price Los Angeles. I have to indicate that you need to start from a position of knowing of who your web page audiences is. Using your factor about the hand surgery treatment and Milla Jovovich content, if those are the most well-known content, it might be because those subjects are intensely Googled–but NOT by prospective guide visitors. So create sure you are using the right SEO terms for your real audiences. Sure, you might want to get more strikes from unique individuals using the concept that spread position seeds on the breeze will position more blossoms, but if those blossoms don't outcome in maintained audiences (and eventually guide sales), then you need to properly consider your audiences first. Exhausted of wasting hours for term research paper crafting? Do not worry! Acquire an essay uk from buy book report support and assure that you have an academic success. I will be excited to discover this publish very valuable to me, the way it contains lot of details. Which i opt to study the top quality material which factor I discovered within you publish. I've not compensated much interest to search phrases, at my own risk. It is an place I need to enhance upon. I like the aspect about placing a bio at the end of the publish, that is a wise decision. Six several weeks ago I could not even say seo (I still have problems writing it). These are sound advice, Meghan. I am discussing to my Fan Page! Great tips i must say. Every point is well thought, well explained and supported by an example. This post is very beneficial for blog fanatics indeed! These are the helpful tips that can use to improve my site’s visibility on the web. Thanks for sharing.